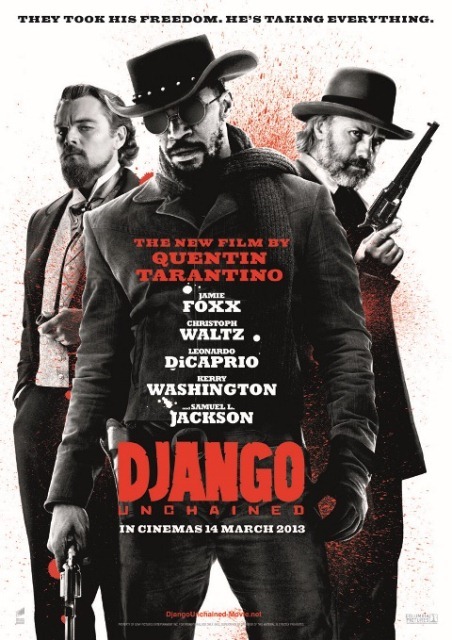 What So Sizzle Bout Sizzling Suzai - Malaysia Fashion, Travel and Lifestyle Blogger: Who Wanna Join Me to Watch The Pre-screening of Django Unchained?! Who Wanna Join Me to Watch The Pre-screening of Django Unchained?! Alhamdulillah..i've won a pair! ohhh my hubby LEONARDO DICAPRIO can't wait to meet you dear. so, if you are in Klang Valley area and interested to be my partner, do please LIKE my FB page at What So Sizzle Bout SizzlingSuzai? and leave your comment on the status of this post HERE. Tell me WHY SHOULD I BRING YOU INSTEAD of my roommate? hahaha..she must be so mad at me! XD well, i just wanna give the appreciation towards my readers for being soooooo lovely all this time. TQ so much dearest. so, will see and GOOD luck! It's definitely a film worth seeing.There are some humorous scenes but there are some brutal ones as well. The climate of this film is so unique so Tarantino!